Organisms that are interested for the better organisation of their processes management. Organisms which wish they ensure the quality and reliability of suppliers and their collaborators. Organisms which wish to gain advantage against their competitors. Organisms which wish their attendance in competitions, with pre-requisite the existence of such System in their company. Organisms that are interested for the optimisation and their continuous improvement. These objectives are been achieved with the total providence of the Quality Management which brings the ISO 9001, and as a result successfully prevents any undesirable facts, but also their achieved confrontation, when these happen. In conclusion, ISO 9001 concerns all kinds of organisms and enterprises and constitutes a functional and most excellent administrative and organisational tool. Improvement of services or/products of the organism. Improvement of management processes and the control of internal processes of organism. Improvement and guarantee of equitable internal communication in the organism. Improvement and guarantee of equitable exterior communication of organism with the suppliers/customers/public and private organisms with which it collaborates. Economic improvement and increase of effectiveness and productivity of the organism. Total improvement of the general picture and effectiveness of the organism. Our company undertakes the study and implementation of Systems of ISO 9001 Quality Management Systems which involves the total management of your enterprise or your organism as well as all the processes that are necessary until your final certification, as well as your complete support before and afterwards this. Implementation of your system, always depends on your requirements, taking into consideration the most excellent quality and excellent result with the smaller possible interventions in the operation of your enterprise or organism, providing you full support legislatively as well as functionally/qualitatively. Discussion on your requirements and realization timetable. Preliminary information for the organisation/your enterprise. Deposit of an offer for a total study and implementation of the Quality Management System and its follow- up process of Certification. Initial information for the organisation/enterprise. Scheduled meetings with the enterprise’s representative and information collection from the company΄s administration. Issue of the Quality Manual. Recording of all involved operational Processes. Preparation of Forms /Files of the Quality Management System. Recording of all Working instructions. Personnel΄s training in the System΄s requirements. Implementation of the Quality Management System in the Organism/ Enterprise. Monitoring of the System΄s Efficiency and functionality. Optimisation of the QMS if necessary. Quality Management System Certification by an external Independent Accredited Certification Body. Support of the System and after it΄s Certification process. The new version of the most widespread management standard in the world of ISO 9001: 2015 issued on 15 September 2015 contains important changes in relation to ISO 9001: 2008. Focus on the operating framework and business environment for the organization. Requirement for laying down the implication limits of the Quality Management System of the organization. Greater emphasis on acquiring the desired outcomes (objectives, measurements, change management) to improve customer΄s satisfaction. It is a new basic requirement of ISO 9001: 2015 and one of the most important changes of the standard. 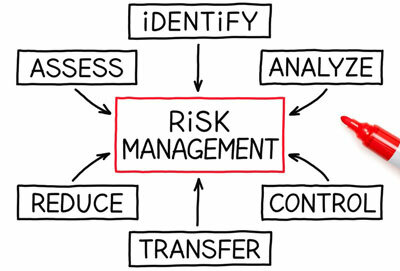 The organization shall identify and evaluate risks with an impact on performance and take action to handle threats and promote opportunities. These actions must be integrated in the quality system and reflected in the procedures and objectives. It is also a new requirement of ISO 9001: 2015 and has a great relationship with the confirmation based on risk management. The organization must analyze his external and internal environment and to incorporate the results of the analysis procedures and objectives. Competitive strengths and weaknesses, the general economic environment, trends in technology and society, the demands of customers and interested parties, consist risks, which can lead the company in formulating a strategy, which cannot run in parallel and independently of the system quality. The organization, should monitor and review information related to interested parties and related expectations and needs. The changes must be planned in a systematic manner by the step of forming the organization's strategy, and exceptional changes that occur during the operation of the organization, must be approved and suitably evaluated. The change management as a particular field of management, accelerated by technological developments and the requirements of globalization and finds resistance in humans, must be dealt with systematically. The requirement for quality objectives is now significantly upgraded in ISO 9001: 2015, reflecting the turnpoint of the new version in the direction of the organization's strategic planning. The objectives must quantify the business strategy (as shown by the analysis of risk and analyzing the business environment), related to the conformity of products or services and lead to increased customer satisfaction. Also the objectives must be communicated to the staff and most of all, must be linked to a strategic plan in order to be achieved. It is a new and important requirement of ISO 9001:2015, as the knowledge management becomes a necessary qualification for success in an environment with excess of information, knowledge and safety risks. Every modern organization must have a structured and secure system for the collection, storage and disposal of know-how to ensure that it is always up to date, available whenever and wherever needed and protected from leakage risks. 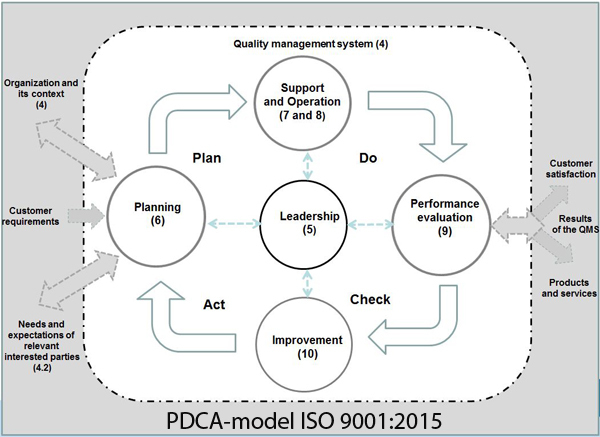 The new version of ISO 9001:2015 gives great emphasis on monitoring and evaluation of subcontractors, particularly when the assignable sub-contracted activity is critical and its impact on the quality of the product or service, important. Activities entrusted to subcontractors can no longer be excluded from the scope of the certification, but must be systematically checked by the organization itself (agreed quality plans, site inspections, etc.). All the previous changes show that the leadership of the organization must demonstrate that it understands the risks taken from the wider business environment and their impact on the company's ability to be able to meet its customers' requirements, as well as other interested parties. Emphasis is also given in the definition of strategic objectives, placing the organization΄s Leadership in the center of the Management System. 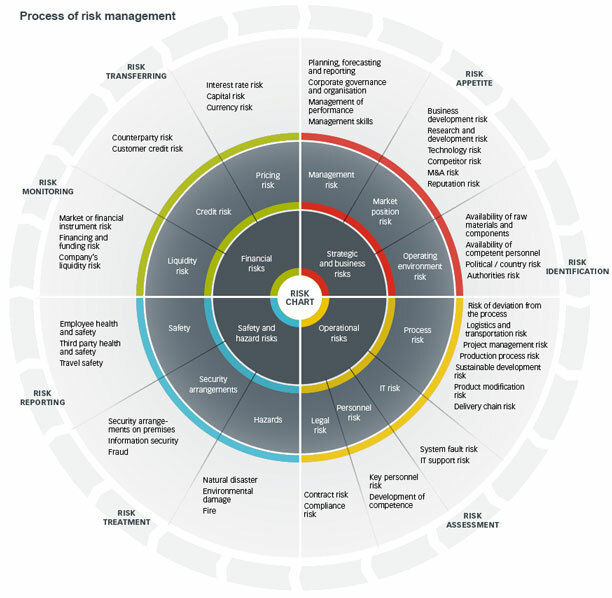 Identify the organizational deficiencies that must be dealed to meet the new requirements. Appropriate training and awareness of all parties that affect the organization΄s effectiveness. Update the existing quality management system (QMS) to meet the revised requirements and predict the control of its effectiveness. The International Accreditation Forum (IAF) and the International Organization for Standardization (ISO) established a transitional period for the application of ISO 9001: 2015 in three (3) years from the date of issue of the standard, ie the transitional period ending 15 September 2018 . ESYD, as a full member of EA and IAF, adopts the transition period of three (3) years for full implementation of ISO 9001:2015. This means that certificates of conformity according to ISO 9001:2008 will no longer be valid after the expiry date of the deadline (09.15.2018). Note that certificates issued during the transitional period must take into account the above deadline. After the 15th of September 2017 accredited certification bodies should issue certificates (new certification / recertification) exclusively according to the Standard EN ISO 9001:2015. The certification bodies are requested to immediately notify the certified organizations holding compliance certificates according to Standard EN ISO 9001: 2008 in order to take all of the quality system necessary adjustments to them and to ensure in time renewal of their certificates before expiration of the transitional period. After the expiry of the transitional period (15th of September 2018), application of accredited certificates are not allowed to the Standard EN ISO 9001:2008. Our Company undertakes the study and implementation of Quality Management Systems such as ISO 9001:2015, that handles the total management of your enterprise or organism. Also our company undertakes all necessary consulting assistance until your final certification, such as your complete support before and afterwards Implementation of your own system, always depends on your unique requirements, taking into consideration the most excellent quality and the most excellent result with the smaller possible interventions in the operation of your company/organism, offering you consulting services in legislation and operational level. Standard EN ISO 9001: 2008 will not be valid after 15 September 2018.